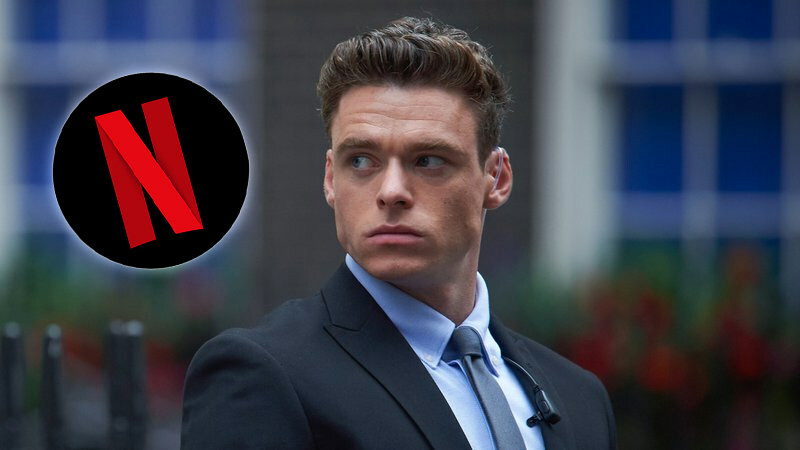 Bodyguard, which aired in August this year, is to be found on Netflix this week. 'BODYGUARD' BREAKS U.K. VIEWING RECORDS! It has been announced that "Bodyguard" has broken viewing records within the U.K. boasting over 17.1 million viewers watching the finale in September, making it the most-watched drama series since records began in 2002. These numbers include on-demand viewership on the iPlayer service. Viewership during the broadcast of the final episode saw an average of 10.4 million, with a peak of 11 million in the final five minutes of the episode. Doctor Who's 2008 Christmas Special held the previous record with 11.7 million overnight viewers and Downtown Abbey following in second with 10.5 million viewers in 2011. Bodyguard follows a war veteran who works as a Specialist Protection Officer within London's Metropolitan Police Service. He is tasked with protecting a controversial Home Secretary who finds herself as a target of multiple terrorist attacks during the series. The final episode of the series takes a shocking turn of events which many viewers did not see coming. According to Jed Mercurio, the creator of the show and previous BCC cop drama hit "Line of Duty", has spoken publicly about a possible second series, however no official talks have begun to make this a reality. Don't fret if you missed the series though, Netflix quickly purchased the rights to the show and plans to air it on it's service internationally this week. If not, will you be watching it on Netflix? I should watch it then?